I got my Momax iPower Go Mini several days ago and it couldn't have been more timely. Glenda was one of the most powerful storms I have witnessed. It was pretty scary from our condo, which swayed along with the strong winds accompanied by a really loud howling sound. Watching the roofs of our neighbor's houses come off didn't help either. Shortly after the winds started, our power went out. And it was out for a pretty long time. On regular days, a 5600mah power bank that is good for about 2-2.5 iPhone charges is good enough for me but during a blackout like the one we experienced yesterday, it just wouldn't cut it. During a power outtage, I rely on my iPhone for a lot more: flashlight, radio, and my sole source of news and entertainment. That much usage drains my battery twice as fast than normal. 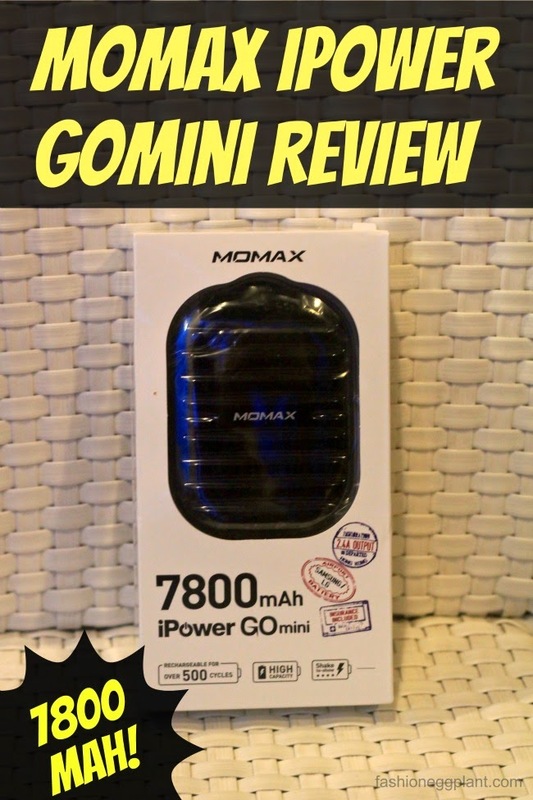 I realized yesterday how reassuring it is to have an extra reserve of power, and besides, why settle for a 5600mah when you can get this 7800mah Momax iPower Go Mini for the same price? The Momax iPower Go Mini retails for only P2,150. It comes with a USB cable and uses Samsung/LG battery cells so you can be rest assured that it won't harm the internal battery of your smart device in the long run. It is also equipped with an intelligent chip that prevents overcharging, over-discharging and short-circuits. Best of all , it is light and handy despite its capacity. Unlike other 7800mah power banks, the iPower Go Mini is smaller than a palm and can fit in most pockets or purses. Using it is pretty straightforward as well. Plug in the USB cable to charge (takes roughly 4 hours to fully charge), the 4 indicator lights blink and tell you once your unit is fully charged. To me, I also use it as a reference as to how many full charges is left for my iPhone: 1 light = 1 charge. To charge your device, just plug it in, and it immediately fast charges your phone or tablet. No need to hit a button to start it. I also love how it is designed to look like luggage. That cute detail just makes it more fun to take along on trips. Considering it is only July and the beginning of typhoon season, I think the Momax iPower GoMini is a pretty smart investment to make. Momax is distributed in the Philippines by Digits Trading and is available at all Beyond The Box, Digital Walker, and Astrovision boutiques nationwide.